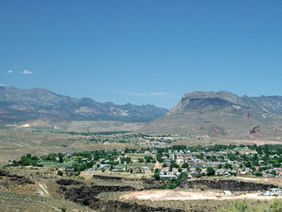 Washington County Utah Real Estate is becoming precious and in demand as state of Utah's fastest growth takes place here. 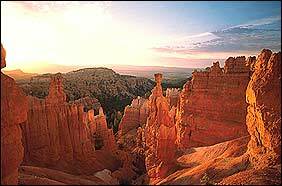 It contains most of Southern Utah's population to the tune of 60%. 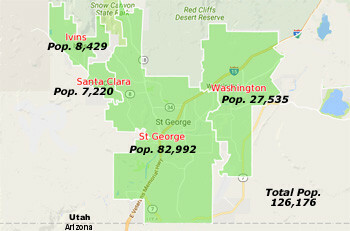 Perhaps, a lot of people that begin searching for Southern Utah Real Estate, end up searching more for Washington County Real Estate, just because its population dwarfs that of any other county in the area and the near-by attractions are cognizant of both civilization (it's along the main I-15 corridor) and southern Utah's wild desert and rock beauty. This areas real estate is thriving with provisions for water being made way out for the future with talk of running a pipeline from Lake Powell. We do not have water problems in the near future, this is way out when they project 4-5 times our current size. 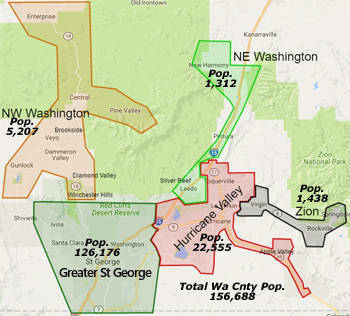 The county growth has reached the southern border of Utah along what is called the Southern Corridor, located only 3-5 miles south of St George, Washington counties anchor city. It appears that more and more infrastructure as well as property is being made available to meet the demands of growth county wide. While there have been problems of expanding associated in around the hills of St George and in bumping up against the Bureau of Land Management (BLM) land to include environmental issues, seem to being attended to, thus making room for growth that is already taking place. Hurricane Utah looks to have a good future horizon for much growth to take place. Hurricane is west and a bit north of St George. Kayenta a, hunkered in "out there" (distance), strictly desert community, west of St George, is being crept up on with developing housing. Increasing flocks from California and elsewhere are seeing its secret tranquility. The Ledges, a huge development with a new golf course are going in up out of St George to the northwest immediately into the Winchester Hills area (approximately 15 minutes out). An increasing number of people are flocking into outlying branches as well as to the main nesting area. Some concern over lot prices having soared, has sent some into a bit of a panic with even some of St George's teachers and work force being unable to afford housing. While there may be an ample supply of lots on the market, build prices and impact fees have prevented starter priced homes from entering the market. This has put an increasing demand for any homes under about $210,000 with supplies of starter homes being very low. Some of the higher prices may also be due to St George being a favorite second home destination, placing strain on other permanent home finders being able to find something starting out. Yet, instead of being elitist, the area has rather congregated a fair mix of age groups and family friendly ethos to sustain a vibrant mix in our economy. Many restaurants and small businesses are springing up everywhere. 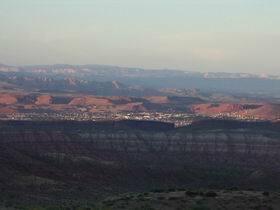 For more information about the county, visit our web page on Washington County Utah. 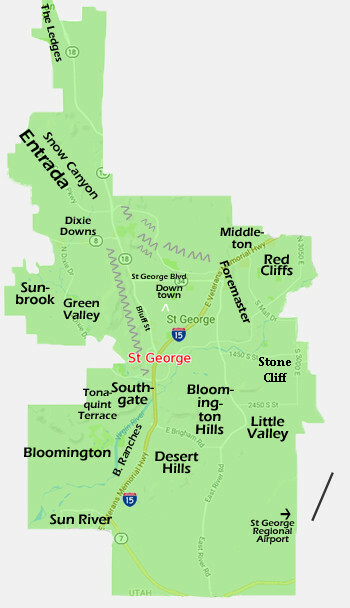 Visit our home page for more information about St George Utah Real Estate. 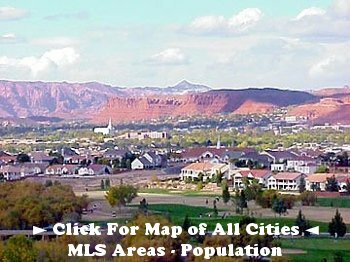 You will find enough information and more on this site to suit your Washington County Utah Real Estate needs. 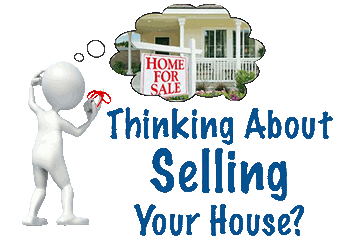 We hope you'll choose us when it comes time to buy or sell.